Cyclists and Twitter is often a fantastic combination, allowing the fans a behind the scenes look at what goes on in the professional peloton. Here are some of the tweets that caught our eye this week, including ones from Geraint Thomas, Fabian Cancellara and Zdenek Stybar. 2. You what, Fabian? Just a standard Easter Sunday at the Cancellara household. So now i have the right picture did some changes about the screen picture. 3. Don’t worry, Jody Cundy. You’re not the only one to have forgotten about this weekend’s boat race. Also I forgot about the boat race! 4. Is Alexander Kristoff throwing the kid the water bottle or the other way round? 5. Wednesday was a bad day for Craig Lewis. Read our handy guide to Strava KOMs and get them all back, Craig! 6. On a more serious note, riders at the Tour of the Basque Country held a protest at the start of stage two after a huge crash the previous day left several riders badly hurt. Organisers were widely criticised for choosing a route with metal poles sticking out the ground so close to the racing line. 5 minutes delay at the start of stage 2 of Vuelta Pais Vasco, is that enough to express that what happened yesterday is unacceptable? 7. 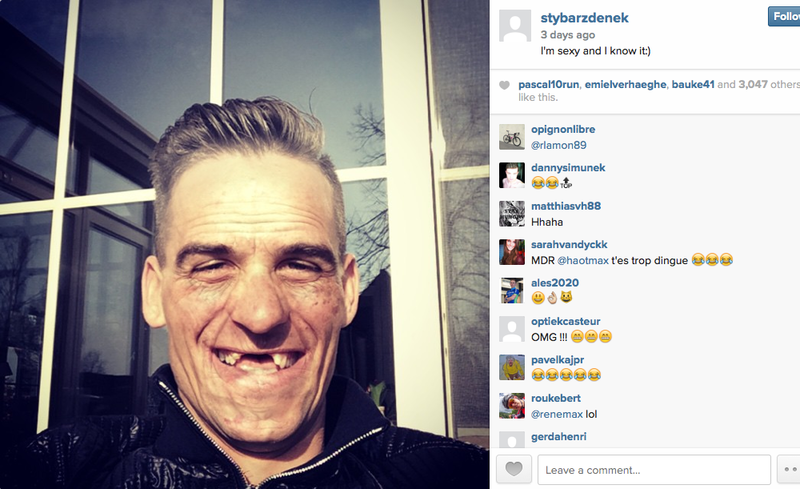 Zdenek Stybar looks absolutely terrifying without his false teeth. The Etixx-Quick-Step rider had to remove his gnashers during a bumpy Tour of Flanders. 8. The French air traffic controllers are on strike? Never. Since yesterday the French Air Traffic controllers have made my life hard. New Flights, Hotel & hours of waiting around. Thanks for that. 9. 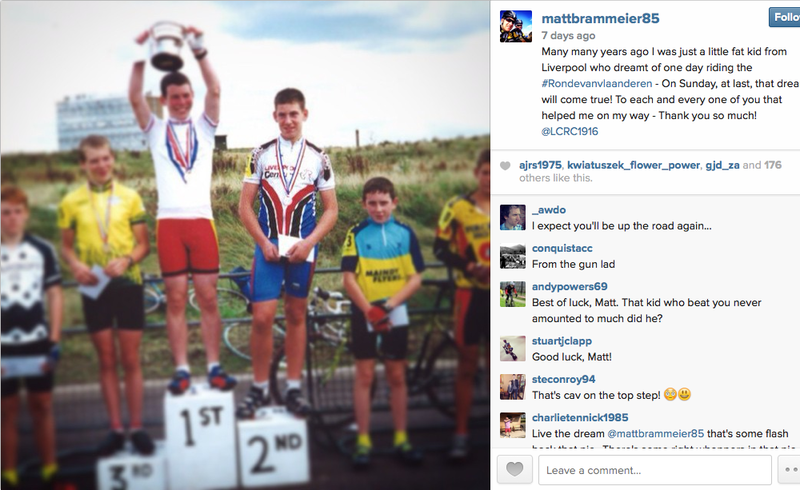 Matt Brammeier always dreamed of riding the Tour of Flanders. On Sunday he got in the break and won his weight in beer at a sprint point. That fella on the top step would have been proud. 10. Geraint Thomas may not have won the Tour of Flanders, but at least the Welshman had some of his national delicacies waiting at the finishing line.